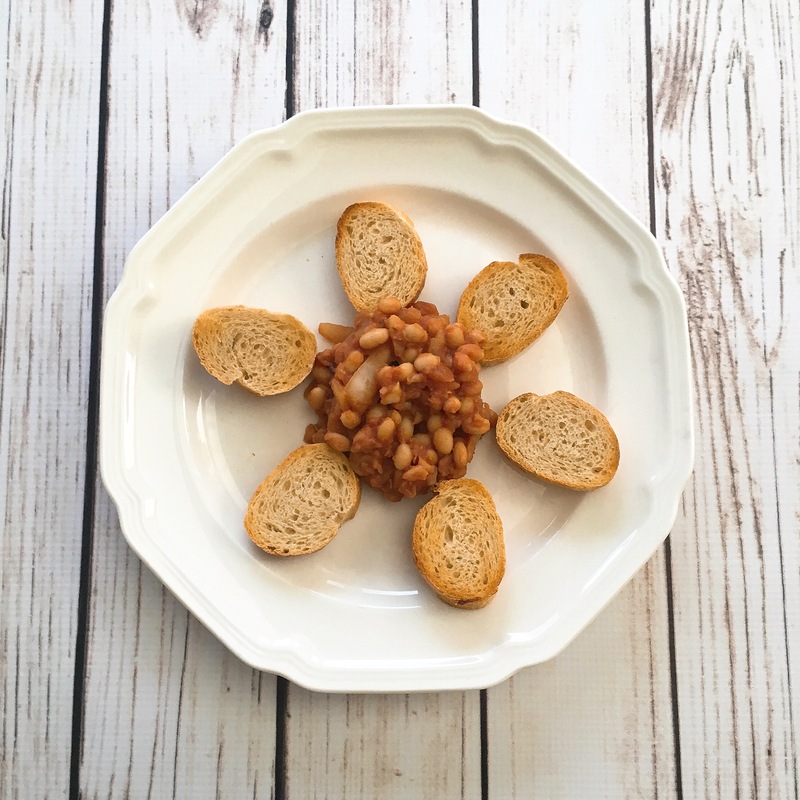 I was watching some vegan youtubers and got inspired to make beans on toast for the first time, because they make it look so good. I combined navy beans, tomato paste, onion, garlic, and molasses to make British style baked beans, then had it on toasted sourdough. It was delicious, and I ate an entire can of beans! Today was a bit of a crazy restaurant day because I spent the day out and about with my brother and sister in law. We went for a short hike in the morning, and since they’re into beer we went to a pub for lunch. 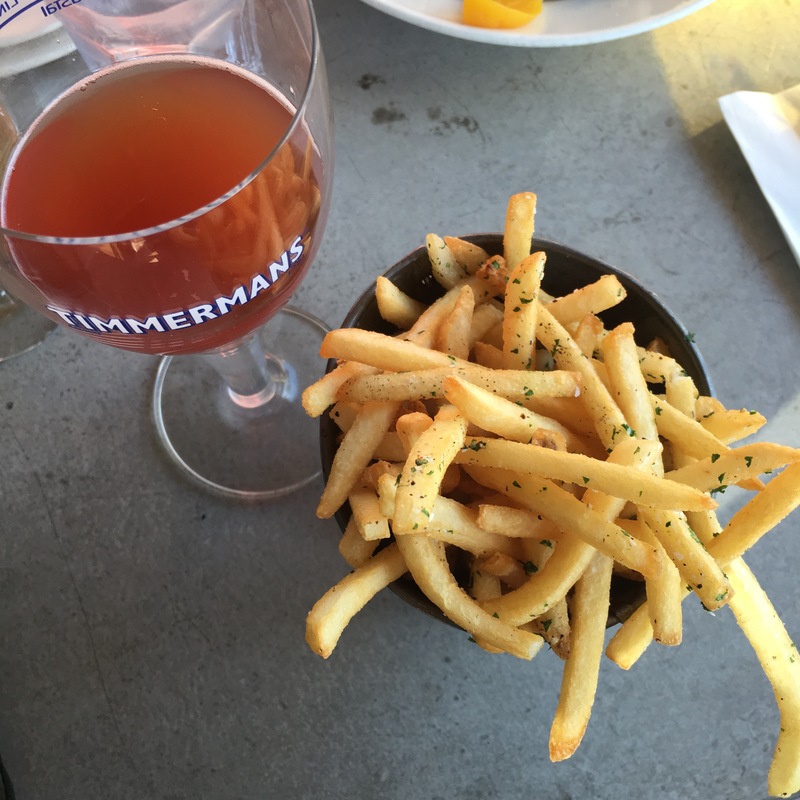 I rarely drink, but I got a strawberry lambic at their suggestion and it was great–it tasted like fruit juice! After the pub we got boba since the place next door happened to be one of the best boba places in town. 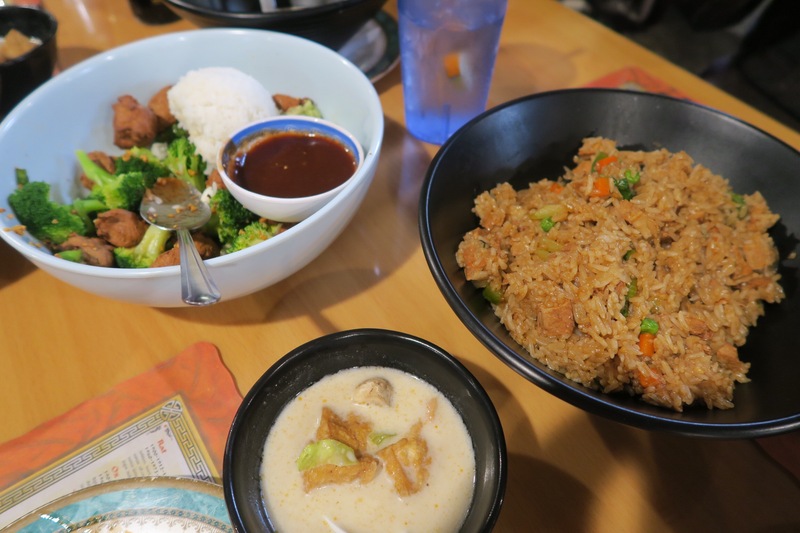 At night, we had our yearly holiday tradition of going to my favorite vegan restaurant with some friends and one of our high school teachers. We ordered a bunch of dishes to share family style, and while I didn’t eat myself sick, I did eat past satiation. I still have a lot of work to do! My family tends to make every meal a big deal, when possible. 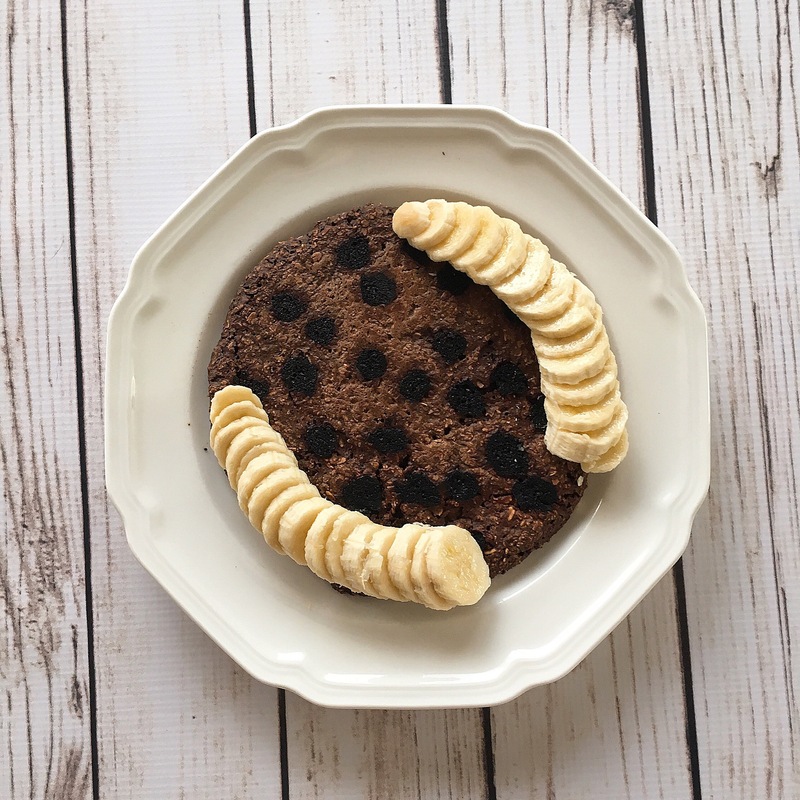 They made buttermilk pancakes for breakfast, so I decided to make one of my own to try to fit in–double chocolate oat pancakes with banana! At dinner they brought home Mediterranean food, so I had some bits of that along with my veggie paella. Not ideal, but a better compromise than just eating all restaurant food in my mind. I’m looking forward to going back to Davis where everything is simpler! Similar to Christmas Eve, I also somehow managed to eat high carb and clean on Christmas Day! I think the key was making sure to have plenty of quick to make/eat food on hand, and to have a plan for what I wanted to cook. In this case I baked a purple sweet potato the night before to have for breakfast. 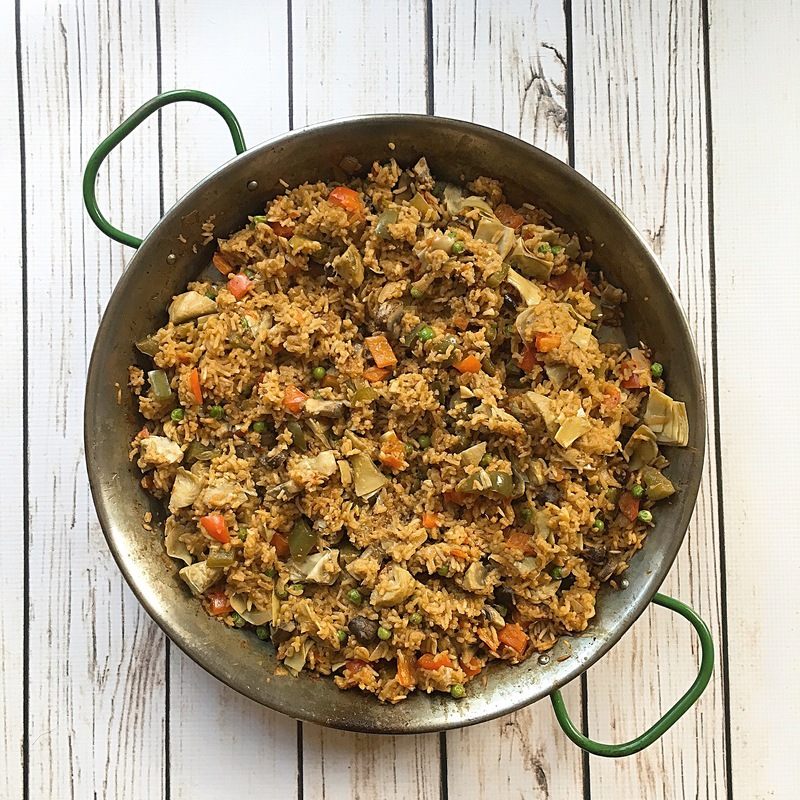 I also made the same fat-free veggie paella I’d made for the potluck a few weeks ago, and had it for lunch and dinner–it was so good I wanted it for both meals anyway! I somehow managed to stick to high carb/mostly whole foods on Christmas Eve! The fact that everyone else was eating apple tarts and gingerbread for dessert would have usually triggered cravings in me (and led to some kind of feverish baking, or eating almond butter and chocolate chips), but I was content after my dinner of potatoes and Brussels sprouts. I think that’s a sign this challenge is working 🙂 It was wonderful to be able to enjoy the night without thinking about food! 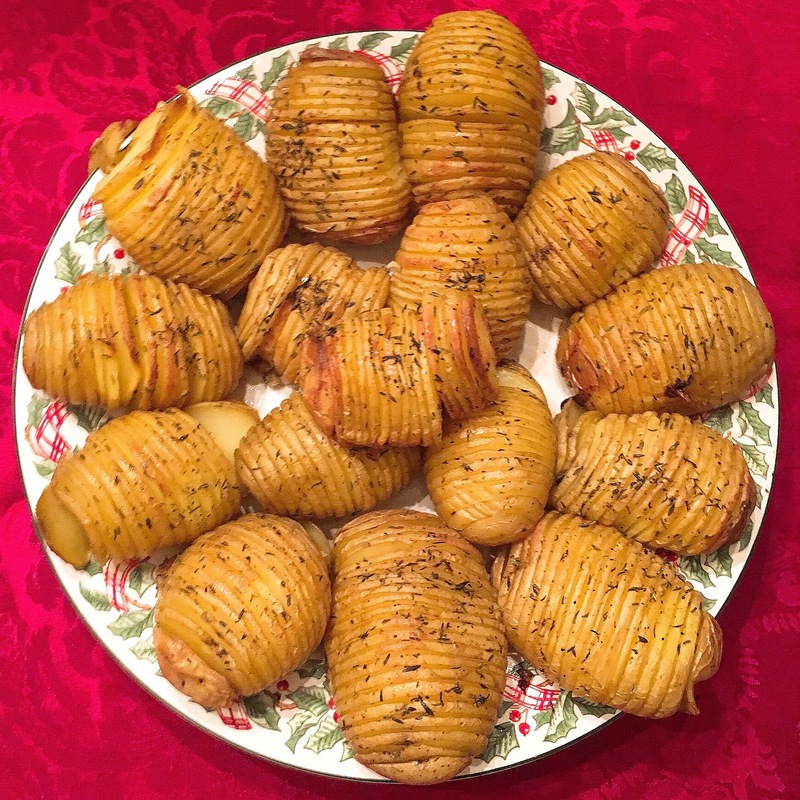 And my Hasselback potatoes were a hit with everyone, I love how easy they are to make! 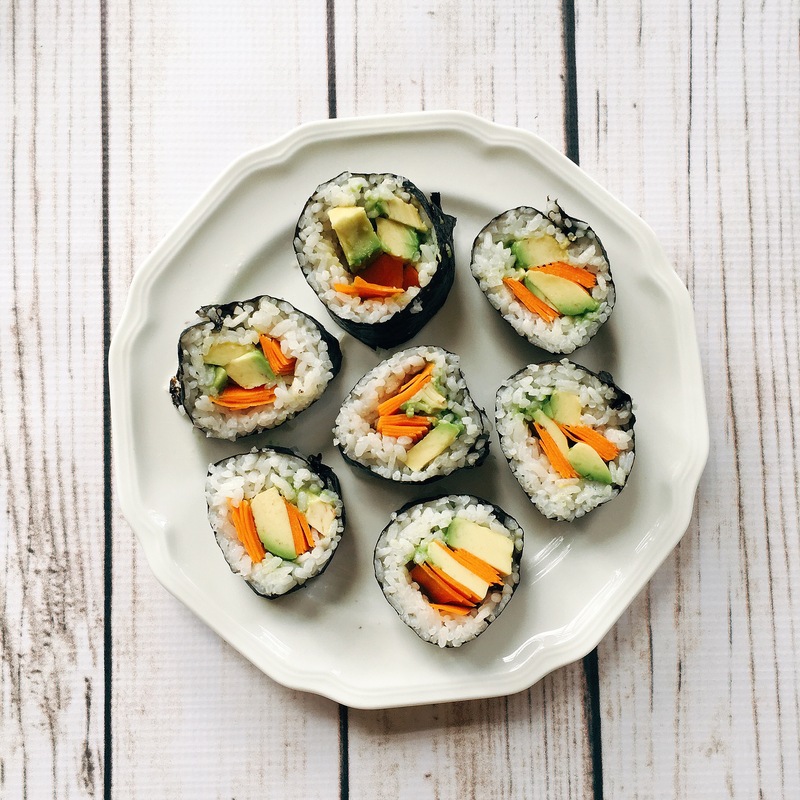 It feels like both my activity and food intake is ramping up–it’s getting time consuming! I suppose I’m just enjoying running and walking with Maia, and being generally active with shopping and wrapping presents and whatnot, and so I spend more time cooking and eating to be able to fuel that. Because if I didn’t, I’d probably end up getting my calories from less healthy sources like the non-Starch-Solution-friendly foods everyone’s eating here at my parents’ house! I woke up nauseated, and didn’t have much appetite after yesterday’s restaurant craziness. I enjoyed a simple, starchy day involving a lot of bread, which is always easy on my stomach. 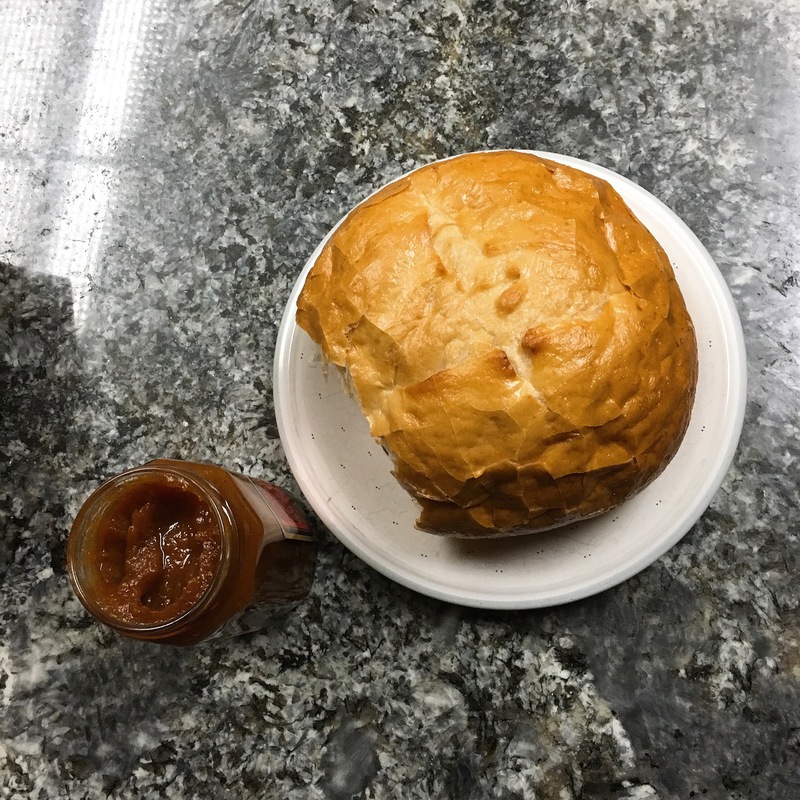 Sourdough bread bowl with pumpkin butter! I also followed through on my idea of converting my restaurant dates to coffee dates, and had a lovely chat over cold brew with an old friend!